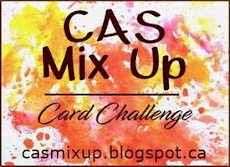 It's been another successful month at CAS Mix Up with lots of amazing entries! We appreciate you taking the time to share your creativeness with us. Thank you! Below is just a few of the outstanding entries from this month, along with our "Pick of the Month". We hope you enjoyed playing along and that you'll come join us again for a new challenge in August. Kimberly's bright artistic background caught our eyes immediately. 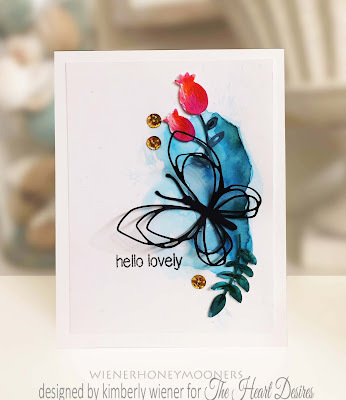 And that delicate black butterfly provides the perfect contrast! Don't forget to pick up your "Pick of the Month" badge below. August's challenge starts in a few days. See you August 1st. We're already half way through July!! We hope you are having a great summer! Just a reminder that our challenge runs until July 24th. If you haven't had a chance to play yet, there's still lots of time and we'd love to see you in our gallery. And we want to thank those of you have have already played. 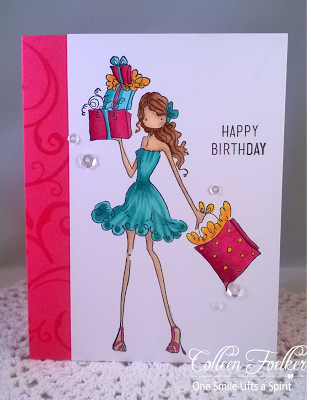 Lots of amazing cards have been entered! 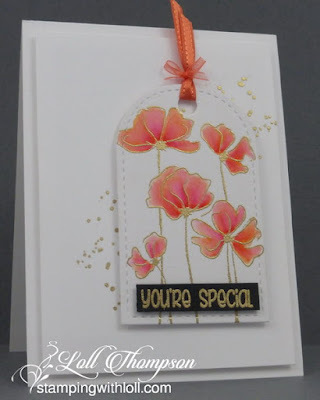 Using markers and a mister to ink up the stamp, splatters, die cut, heat embossing (on the sentiment), and gemstones. We hope our cards inspire you to play along. 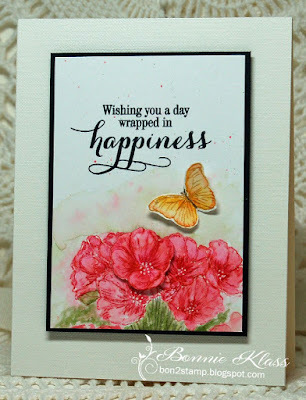 Thanks again to Colleen for joining us as our Guest Designer this month. Hi everyone. 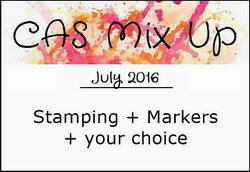 Welcome to July's Challenge at CAS Mix Up! We are having so much fun at CAS Mix Up! We really enjoy your creations. 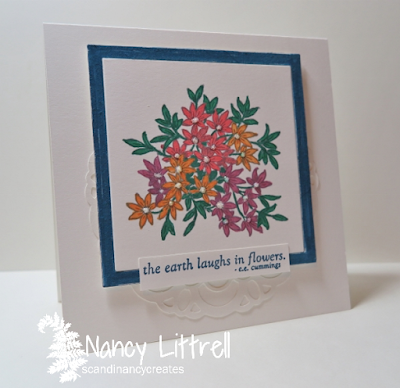 Last month we had awesome entries for the Die Cutting challenge. Click HERE to see our June Challenge Pinterest Board ... lots of amazing inspiration! Speaking of amazing entries ... click HERE to check out our "Pick of the Month" and to see some of the Outstanding Designs we've highlighted from June's challenge. This month we want you to use markers on your cards. First, make sure your card is CAS ("Clean And Simple"). 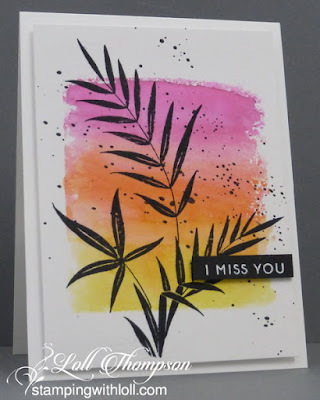 Include some stamping (a little or a lot), some kind of marker technique, and then pick something from the "Your Choice" list in the right sidebar to add in. 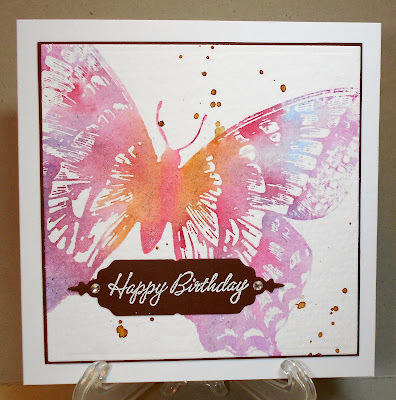 There are so many fantastic markers available that you can use to add color to your card. 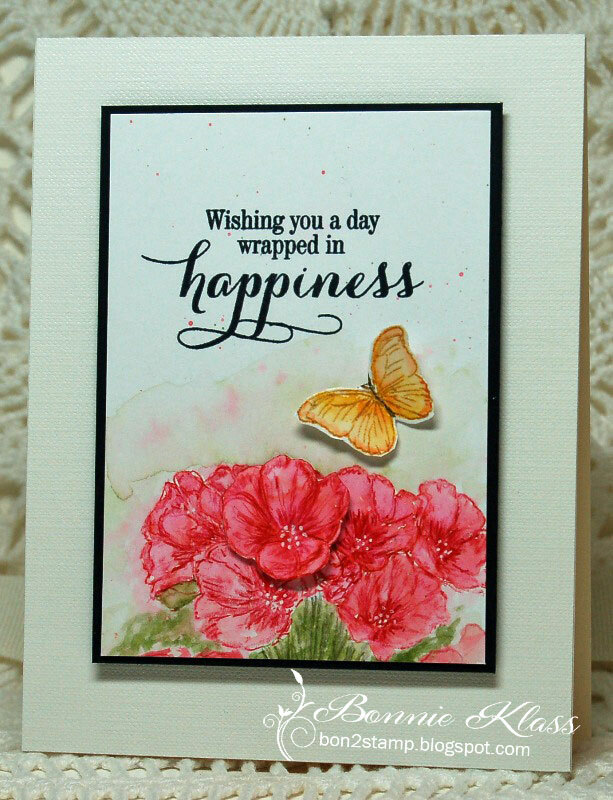 There are lots of water based markers including Distress Markers, Tombow, Stampin' Up!, and Zigs. There are also alcohol markers that give a whole different look than the water based. 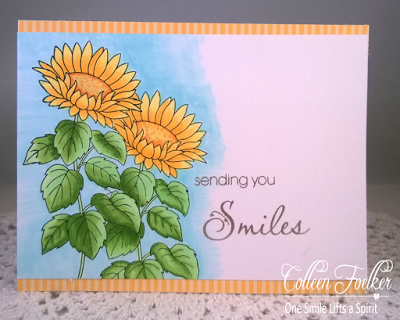 And we are excited to have Colleen (One Smile Lifts a Spirit) as our Guest Designer this month. 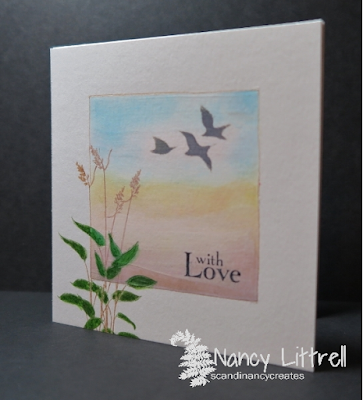 Colleen made a stunning card which was our "Pick of the Month" for May. 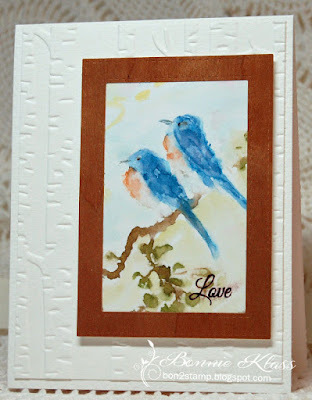 Click HERE to see her card from the heat embossing challenge. 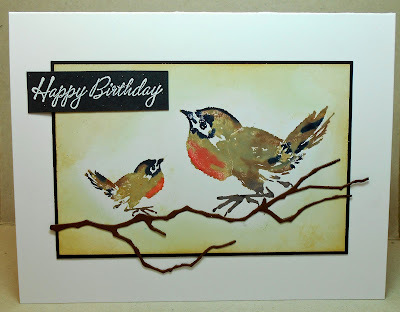 Now here are our cards using markers. We hope they will inspire you. And here are some videos on various marker techniques. The challenge is open until July 24th, so there's lots of time to play along. Come join in the fun!